During March 1991 she flew the long stretch over the North Atlantic to begin a new career in Africa. The registration was changed to C9-ATS for Interocean Airways. She was later registered EL-AWX for Interocean Airways during June 1997, but ended up being stored. Phoebus Apollo Aviation bought her in January 2000 and she was registered ZS-PAJ and joined the other Phoebus Apollo aircraft. 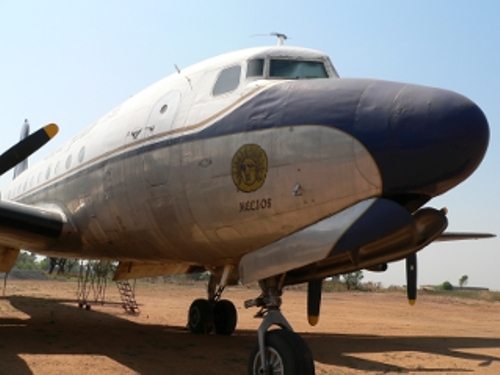 On 12 January 2006 Hennie Delport, one of the owners of Rand Airport, agreed, to donate ZS-PAJ to the South African Airways Museum Society. One of the stipulated conditions was that the aircraft remained in Phoebus Apollo livery in perpetuity.